Editorial note: We received the following report from a socialist activist in the Bay Area. John Taylor stepped off a Navy ship in Oakland in 1968. Behind him was Vietnam. Behind him was the South, where he grew up. In the years to come, John got a union job at the phone company, which was to serve him through to his retirement. He got married, moved into a house – his home for the next forty years – and he and his wife raised their children. As the years passed, John’s prosperity was to elude upcoming generations of young Oaklanders. Work slipped from factories to retail; workplaces went from being union to workers having no rights, from full benefits to none at all. The steady rise up the hill of the poor stopped and was eventually reversed by the policies of mass incarceration. Poverty in Oakland became surrounded by an invisible wall, and within it a rising tide of crime and violence rose. Today, the San Francisco Bay Area is once again booming. 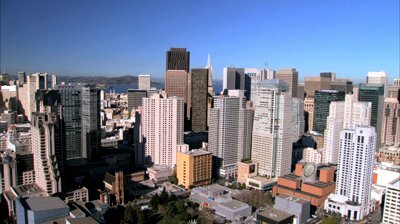 With a per capita GDP of $74,815, the Bay Area has become the richest metropolitan area per person in the U.S. Most of the high-tech stars are based in the area, with their corporate model employing managers locally to run large teams of workers overseas. The Bay Area’s productivity is double the U.S. average, and the area is forecast to produce 24,000 new computer design and engineering jobs this year. The robust local economy is, in turn, powering a construction boom and, in its wake, a new housing bubble. The Bay Area’s economic development is truly bifurcated. While America’s economic recovery appears to be coast-bound, the prospects of California’s inland areas are poorer. Fracking and oil exploration are likely to be their only bright spot, despite the ecological disaster written into such a forecast. The Great Recession was painful for most workers, but the boom has its own pain. The growing haves in the Bay Area are massively outnumbered by the army of growing have-nots. Economic polarization continues unabated. In one Oakland zip code, 81% of residents have college degrees, with a median annual household income of $113,500. In many more Oakland zip codes, college graduates are in the single digits and more than half of families don’t even make $15,000 per year. Oakland’s problems have attracted hundreds of education consultants in the challenge to raise student test scores, while leaving the crime of deep poverty completely untouched. After starving Oakland children of education resources, Oakland has now become a prime target of the vast education privatization experiment. Almost 25% of Oakland public school students are now enrolled in privately run charter schools. This is, in part, capitalism’s attempt to destroy the popularity and organization of Oakland teachers, whose union went on strike in 1996 to reduce student class size. Backing the charter school movement are big hitters of capitalism, Walmart and Microsoft. They want to pay no taxes and yet control how taxes are spent. Their ultimate goal is to dismantle and disrupt the efficacy of public education and the teachers’ union. Oakland children are their guinea pigs. While the public profile of unions has collapsed, California is still home to a 2.5 million-strong unionized workforce, the largest statewide unionization level in the U.S. The Bay Area rapid transit strikes that crippled the region’s commute last year reminded workers that unions still exist. But strike awareness for young people has come through school walkouts against injustice and inequality, which also briefly found organization in the Occupy movement in Oakland. A credible movement to hike the minimum wage to $15 would find a wider echo. Yet every step toward challenging poverty is brutally opposed: Even a $1 raise in the state’s minimum wage was characterized as “obscene” by the leader of the state’s employer organization. Oakland house prices rose 17% last year as San Francisco’s housing demand overflowed. Anger at incoming tech workers pushing up rents and at evictions in Oakland and San Francisco created local headlines when tech companies’ private luxury buses were blocked and windows broken by tenant groups. Google, whose third-quarter earnings topped $3 billion, responded by hiring catamarans to ferry top-paid engineers to the South Bay. Oakland’s highly affluent neighboring city, Piedmont, is installing license-plate-capturing cameras to document Oaklanders entering their city. And in the South Bay, venture capitalist billionaire Timothy Draper wants Silicon Valley to secede from California, and he is putting millions into putting the issue on a statewide ballot. As the walls go up, the super-rich continue to wall off their profits from taxation. South Bay company Apple made nearly $9 billion profits in the third quarter of 2013 but is paying taxes at a lower rate than most workers. Capitalism continues to attempt to segregate prosperity in its pursuit of vast untaxable wealth. The rich want to increase isolation, exclusion, and individualism at a time when human history requires more integration, consolidation, and cooperation. However, no barriers will ever successfully stop families from fighting to put food on their tables. In the fall of last year, John Taylor lost his home of 40 years. Through foreclosure, the house fell into the hands of a development company that paid cash for a bargain price. They resold for double what they paid. Today when you walk through John’s front door, you will no longer see his tall poster of Malcolm X and Martin Luther King shaking hands. His retired brother and sister, who had moved in with him in recent years, are long gone. In the spring of 2013, John was diagnosed with lung cancer. He began his chemo through the Veterans Administration, all the time getting harassing calls from the man flipping his house. Then his home was gone. He now lives in Sacramento in a small apartment near his grandchildren. Capitalism in Oakland had no more use for John, so it eagerly and greedily tore up his roots. All the memories of raising his children, their first walks, their first teeth, their friends running through the house: these are now buried in the walls of someone else’s house. Oakland’s long tradition of resistance to capitalism will never be put out. Here, novelist Jack London ran for mayor as a socialist. Here, America’s largest general strike took place in 1947, initiated by women retail workers. Here, the Black Panther Party was born. And here lies the body of Oscar Grant, a young, unarmed black man shot and killed by police on a train platform on New Year’s Day 2009. The Oakland Democratic Party must be given its due for its role in all this. For fifty years it has tightly controlled the eight-seat city council. Its councilors have diligently worked to serve the interests of the city’s high-rise corporations. They have directed the city’s overseers, the Oakland Police Department. In one decade alone, OPD brutality led to the city paying out $58 million to victims. After half a century of Democratic Party rule, poverty is deeper, more segregated, and more entrenched than ever before. Kshama Sawant’s election victory in Seattle provides some grounded hope that working people can create fissures in the billionaire’s smug pretense of democracy. It is time to break capitalism’s political monopoly in Oakland by mobilizing all those locked out of prosperity. This would be the greatest payback that could be given for John Taylor’s expulsion from the town that was his home.